Today's look is a simple late summer/early fall outfit. 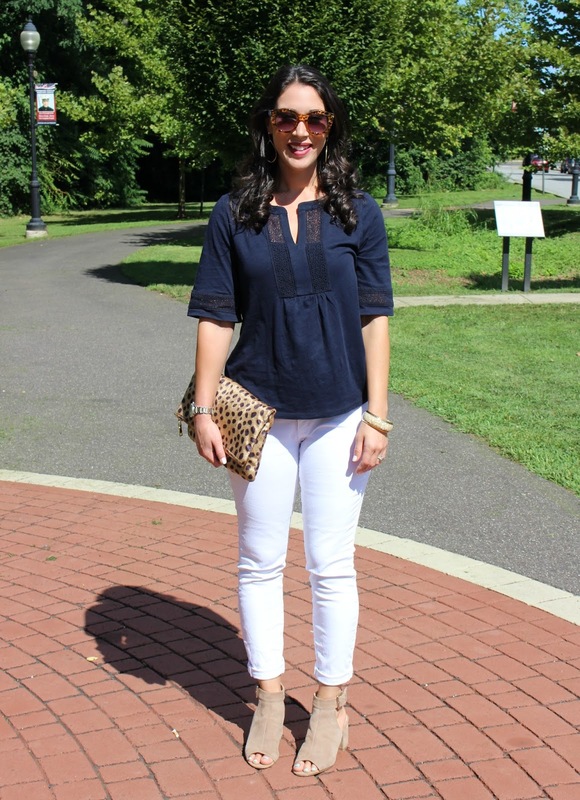 The "no white after Labor Day" rule is long gone and I plan to wear my white skinny jeans into the fall season. 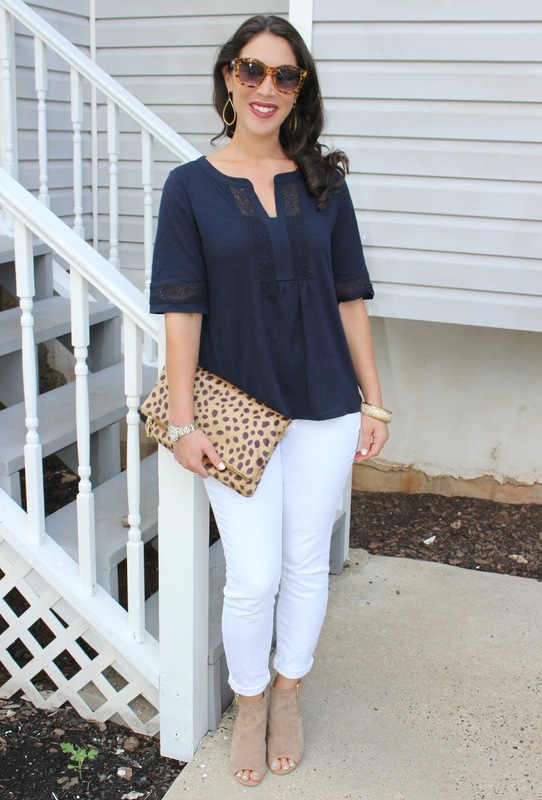 I paired my skinnies with a boho lace tee from LOFT and open toe booties. 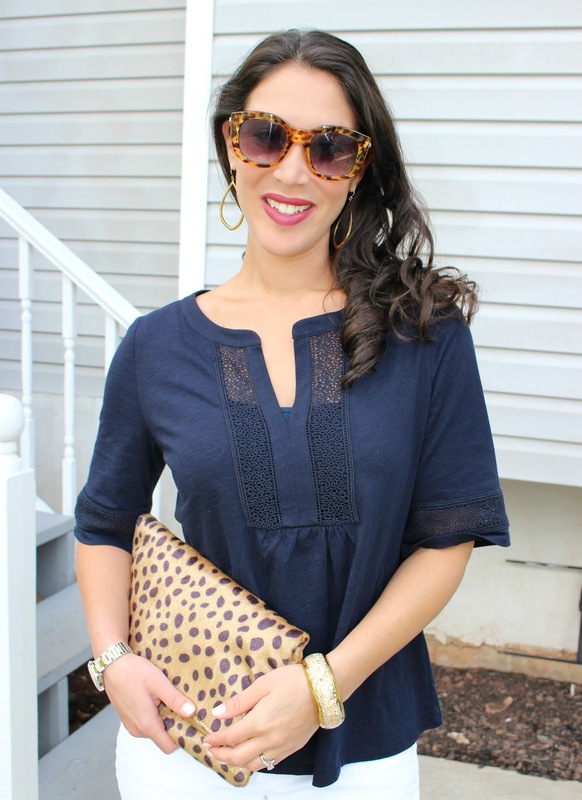 This top is so pretty and is marked down to $18! I love the split neck and the lace detail (it also comes in white). 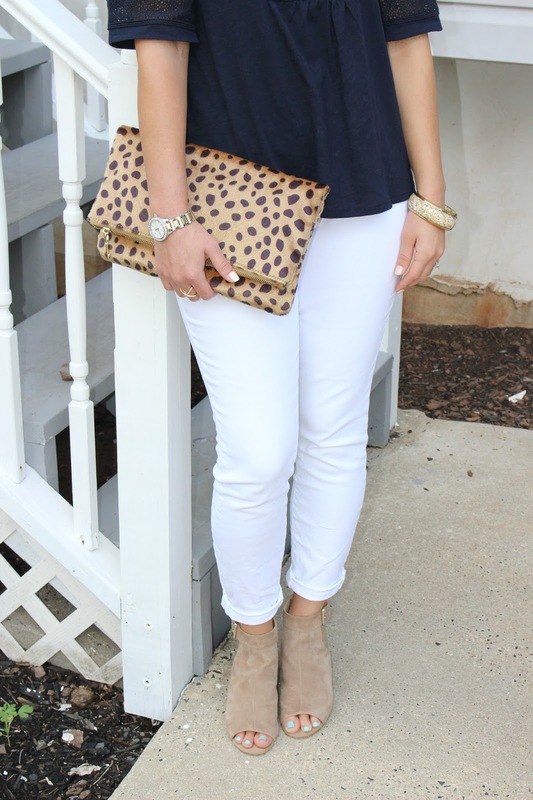 If you follow my blog, you know I've been styling many outfits with this Le Boutique Shop clutch lately! I highly recommend this bag...it gives every outfit a little pop! I thought this outfit needed a statement accessory to add some interest. Open toe booties are the perfect transition shoe from summer to fall. My suede booties are from the Nine West outlet. I get so much wear out of them. I love the sand color- it matches everything! For a similar version, I like these Steve Madden booties in taupe at 6pm.com. 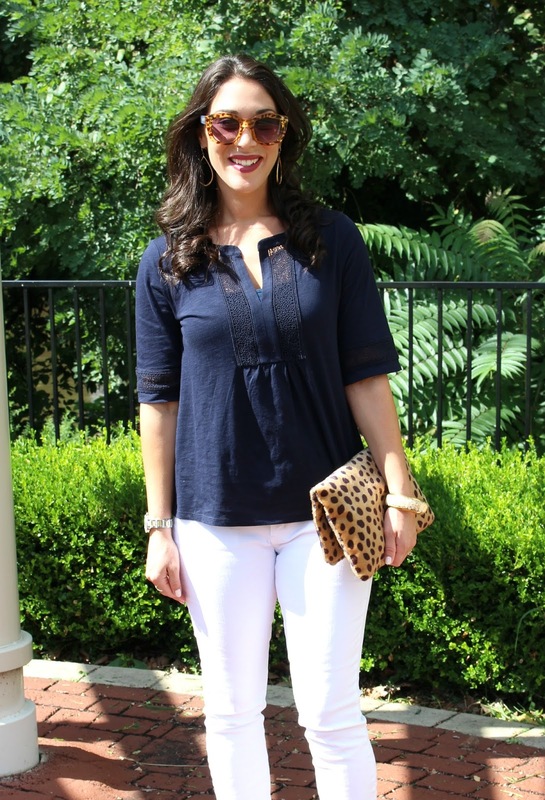 For more outfit inspiration, follow @styleinharmony on Instagram! 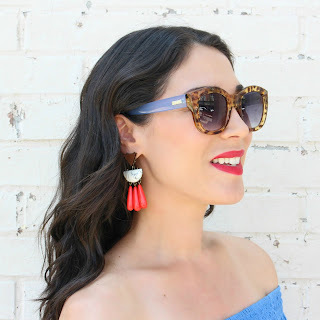 Last Call for Nordstrom Anniversary Sale!